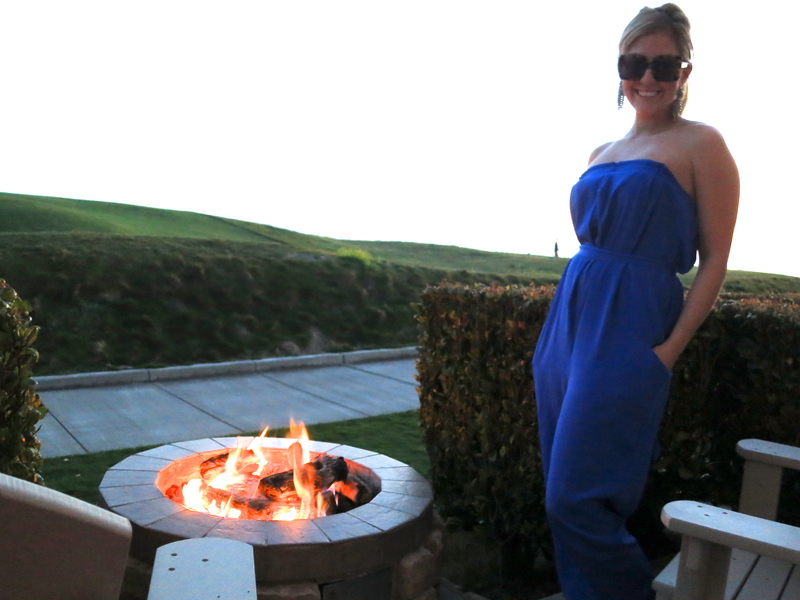 There is nothing I love more than styling a good jumpsuit. I’m not sure if my love stems from the fact that they are easy to pack or just fun to wear…except when you are in a cast and crutches, they are really no fun at all. 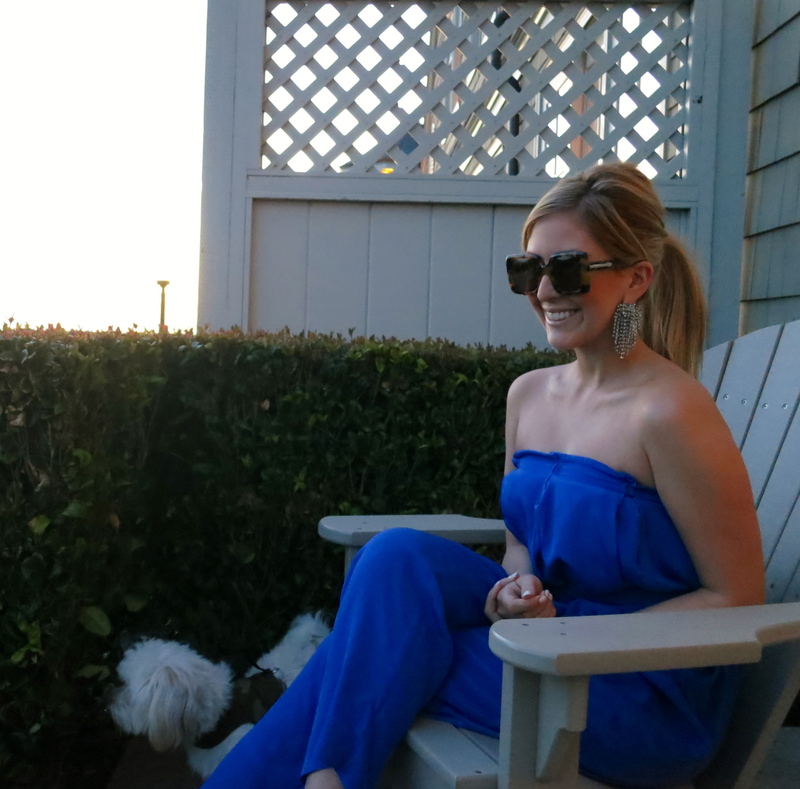 But even the risk of falling in the bathroom and being forced to jump everywhere hasn’t stopped me from breaking out the jumpsuit and big bling earrings for a little fire pit fun at the Ritz with my favorite puppy, Benji. Jumpsuit: Asos (old) Love this one and this one. 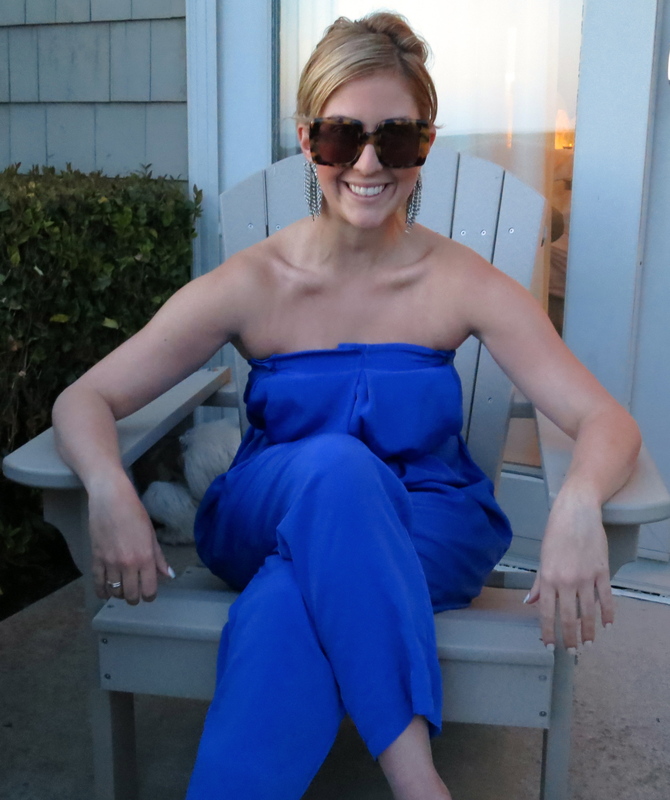 Travel, What I Wore asos, Banana Republic, Benji, Dog, Half Moon Bay, Karen Walker, ritz, treat. yo. self.